Congratulations to MAC student Ella on her commitment to play Division 1 Hockey at Colgate University. 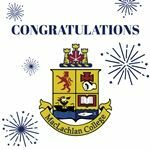 Everyone at MacLachlan College is proud and excited about your amazing journey! MacLachlan College was proud to host the 2019 Annual CITE Conference. This conference brings CIS members and teachers together to share the joy of teaching English and celebrate the outstanding work of our students by publishing our InCITE collection of student writing and art. This year attendees explored the theme of ‘Interweaving the Strands - Startling Discoveries Often Result’ through panel discussions, exciting workshops, and amazing keynote speakers. Thank you to everyone that attended and participated in the 2019 CITE Conference and a huge thank you to the conference organizer, Mr. Dominato! The Junior and Intermediate Chess Clubs travelled to Rotherglen school on Thursday for their annual Chess for Charity Tournament where they competed against other students from other Oakville Independent Schools. Throughout the day, students played challenging matches against skilled opponents and proudly represented MacLachlan. Congratulations to all chess club members for the fun season! The Habs were the favourites coming into this match, having only lost one game the regular season, but as we all know anything can happen in the playoffs. The game started status quo as Lawson opened the scoring to put the Habs in front 1-0. On the next shift, Adam converted on Jakes cross-crease feed to put the Red, Blue, and White up 2-0. Lawson scored his second for a 3-0 lead before a most interesting turn of events occurred. 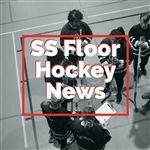 A Habs clear out pass bounded off Hugo and landed in front of a surprised Habs goalkeeper and on the stick of Aariz, who quickly shuffled the puck into the net. A moment later, Hugo and Aariz combined again for Aariz's and the Stars second goal of the match. The game developed a greater interest as a possible upset was in the making. Alas, Max responded for the Habs, and Adam managed a second goal, and then Lawson scored his third of the game putting the Habs up 6-2, and it appeared the script was already written. But the drama began to unfold as Mohammed scored off a feed from Aariz, and then he tickled the twine for a second time on a solo effort, and Alina found nylon to close the gap to a lone goal. With their hopes elevated, Lawson took some of the air out of their sails with his fourth goal of the contest, creating a Leafs/Habs final.